Extra Specifications: Pair the USB-SA124B to the USB-TG124A to for excellent scalar network analysis. 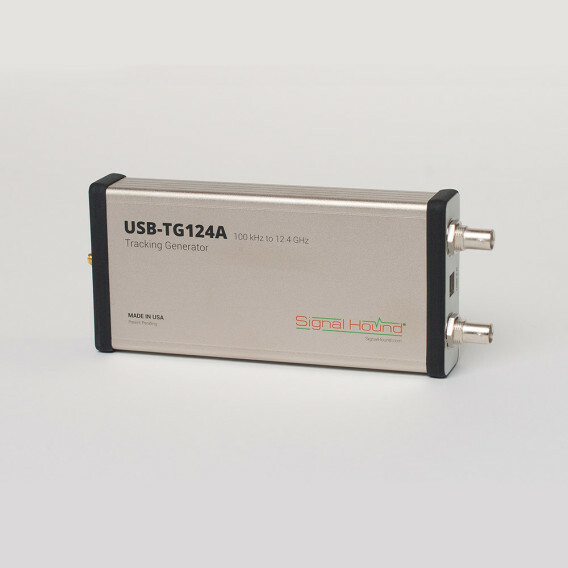 Upgrade your USB-SA124B to a Scalar Network Analyzer with the USB-TG124A Tracking Generator! The Signal Hound USB-TG124A is a 100 kHz to 12.4 GHz tracking generator which works with your USB-SA124A to measure filters, attenuators, amplifiers and more! It is compact, simple to use, and an effective troubleshooting and analysis tool in the lab or in the field. Whether you are an amateur radio enthusiast or a microwave communications professional, the USB-TG124A provides fast, accurate results.